Nathan focuses his practice on toxic tort litigation, with an emphasis on asbestos-related products liability and premises liability actions. Nathan assists in the development of defense strategies and the preparation of significant motions and briefs. He is also responsible for conducting the depositions of plaintiffs, coworkers, corporate witnesses, and expert witnesses. A native of Alton, Illinois, Nathan joined Heyl Royster in 2014. Nathan began his career in 2003 at a small, general practice law firm in Alton. He then spent the next eight years (2006-2014) with a mid-sized Illinois firm, where his primary focus was the defense of premises owners, as well as manufacturers of various products including pumps, valves, boilers, HVAC equipment, and building materials, named in asbestos litigation throughout Illinois and Missouri. His defense of these businesses, ranging in size from small to international, involved the preparation of a variety of motions and briefs (including choice-of-law, summary judgment, jurisdictional, and forum non conveniens), the evaluation of potential liability, and the development of strategy for the successful defense and resolution of a variety of cases. In addition to his motion practice, Nathan defended his clients in hundreds of depositions in over 40 states. 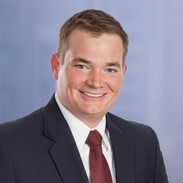 Nathan's reputation and successful defense of his clients has led to his recognition on the Illinois Super Lawyers Rising Stars list for six consecutive years (2012-2017). The Super Lawyers Rising Stars selection process is based on peer recognition and professional achievement. Only 2.5 percent of Illinois lawyers under the age of 40 or who have been practicing 10 years or less earn this designation. Named to the Illinois Super Lawyers Rising Stars list (2012-2017). The Super Lawyers Rising Stars selection process is based on peer recognition and professional achievement. Only 2.5 percent of Illinois lawyers under the age of 40 or who have been practicing 10 years or less earn this designation. Nathan volunteers his time to the Knights of Columbus, as well as to his Church, St. Jerome Parish, in Troy, Illinois.